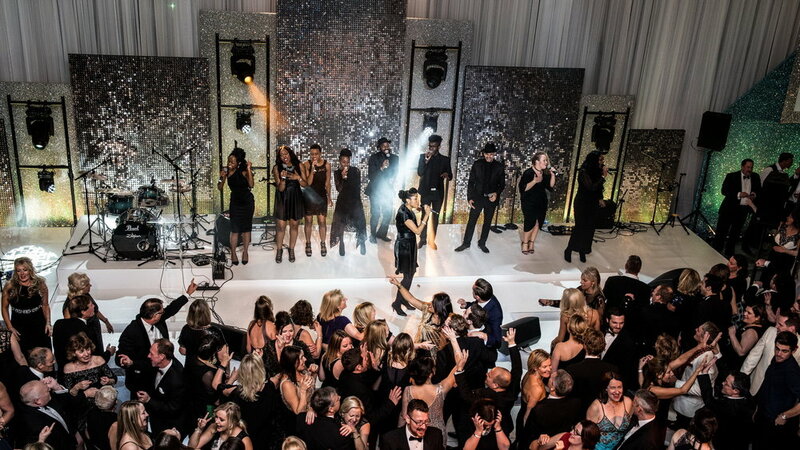 From conception to creation, McKenzie Associates and our sister company, E3 Events by Design, delivers a range of events, entertainment concepts and bespoke services to corporate, not-for-profit and private clients. McKenzie and E3 understand the 'artistry' of first class event design and delivery; big or small, we embed the "wow" factor in everything we do. Let our team look after the talent at your event, from hospitality, sounds checks, photo opportunities, performance cues and technical riders, we can take the pressure off you and ensure that your event runs smoothly. From script writing to voice-over production, advanced audio-visual collateral to staging and room theming; our creative design team can support every creative aspect of your event. Our in-house marketing team can design your logo, website and programme, and support your PR activities. Our talented team of costume designers and manufactures help to create the weird and wonderful; from glitzy showgirl costumes, to children’s puppets and full skin characters, a world of wonderful props and costumes that’s only limited by the imagination! We also house a large stock of costume items available for hire. E3 is a Brighton-based events company with over 20 years experience in delivering breathtaking, world class events at home and abroad. With international credits ranging from national sporting events, corporate gala dinners, film premieres and lavish black-tie balls. Please call David Hill and his team to make your next event truly spectacular!